Aerospace is a very diverse market with a multitude of commercial, industrial and military applications. Aerospace manufacturing is a high-technology industry that produces a range of functional components for aircraft wings, engines, and propulsion units. The accumulation of ice in aviation and aerospace is a critical issue. One of the many applications in which Chemprene is entrusted would be the conductive elastomeric sheeting in pneumatic de-icing applications. Our material is fabricated into part of an inflated tubular system used to prevent aircraft wings from icing over. Safety starts with Chemprene. Chemprene has been supporting the world’s space ambitions for decades. 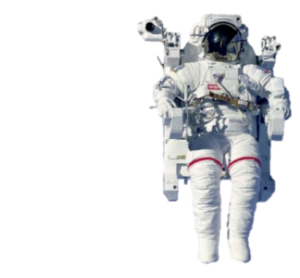 Space suits and pressure suits must be engineered to withstand critical conditions. Chemprene products play an important part in sealing our astronauts away from a sub-freezing, low pressure, harsh and deadly environment. Space is indeed, The final frontier.